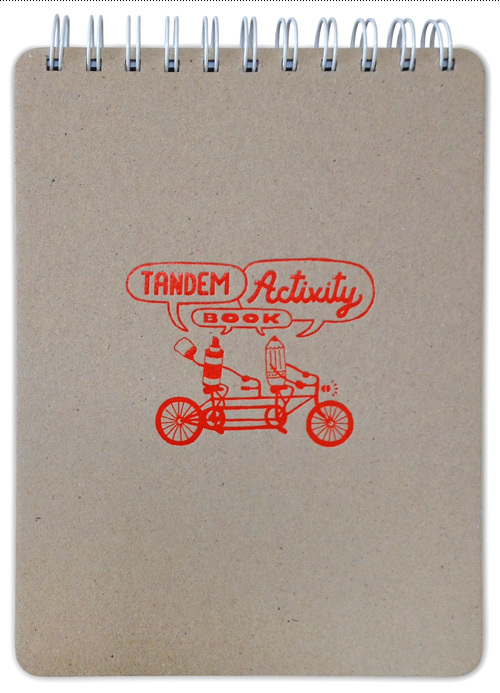 Tandem Activity Book – one color embossed chipboard front. 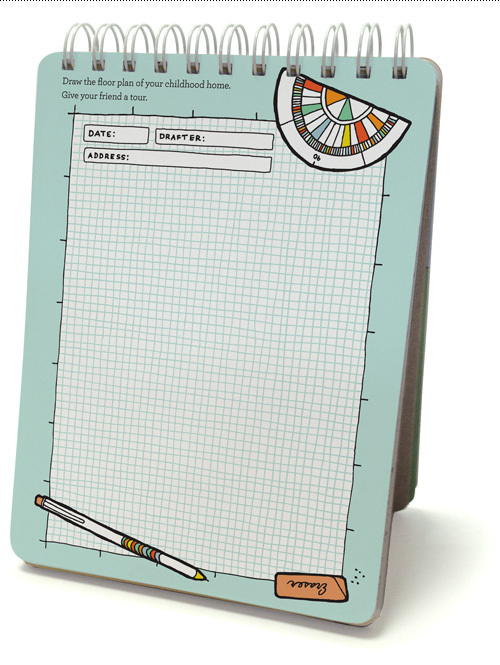 With activities like drawing your own constellations, playing memory games, calling all the phone numbers you know by heart, and writing postcards to each other, each page is a new way to learn about your journal partner and do some creative brain gymnastics. Here are some of my favorite spreads to create. Together, fill this time capsule to be opened hundreds of years from now. Only add items that you both agree belong in it. Fill in the titles of your favorite books. 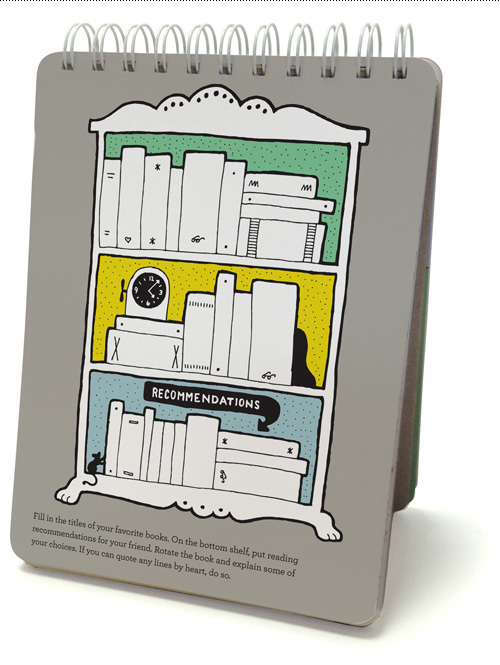 On the bottom shelf, put reading recommendations for your friend. Rotate the book and explain some of your choices. If you can quote any lines by heart, do so. that could be personalized, and encourage exploration through visual twists. It was a balance of having illustrative personality while having it feel plain enough so you can draw all over it (which is the point). Intentionally rough and loose in style, I used a simple thick & thin line work hierarchy, spot patterning, color blocking inside and outside the line work, and strategic white space for users ‘to fill in the blanks’. Draw the floor plan of your childhood home. Give your friend a tour. Step 1: Fill this vending machine with something wonderful. Then rotate the book. 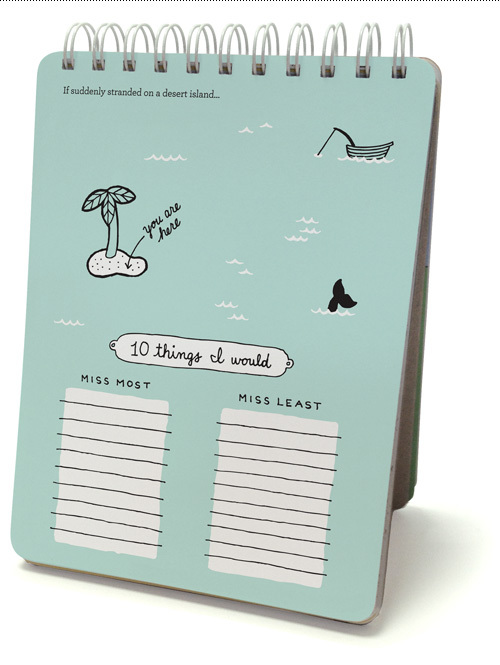 Step 2: If you’d want to buy one of these wonderful things while walking past, do a rubbing of a coin on this page using pencil or crayon. The creative process on this project was fairly smooth. After a five preliminary illustrations had been approved, most of the work lay in executing the over 75 full-page or full-spread drawings. The initial color palette recommendation was a little too quirky and toned down in the final round, and revisions tended to focus on usability and having space for prompts. The cover illustration was fairly directed but most of the inside spreads allowed room for exploration. 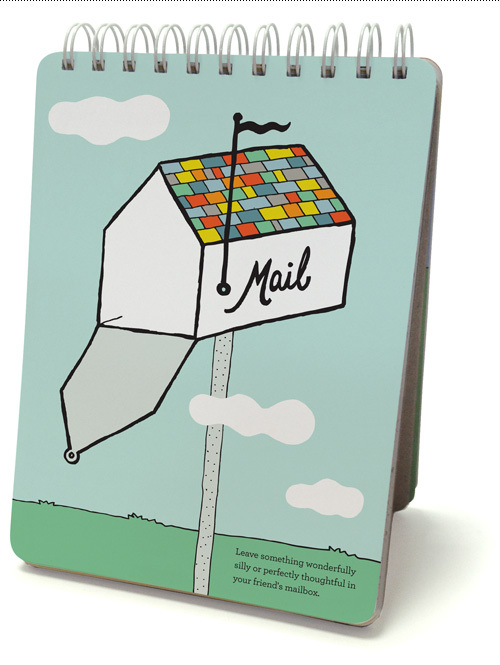 Leave something wonderfully silly or perfectly thoughtful in your friend’s mailbox. 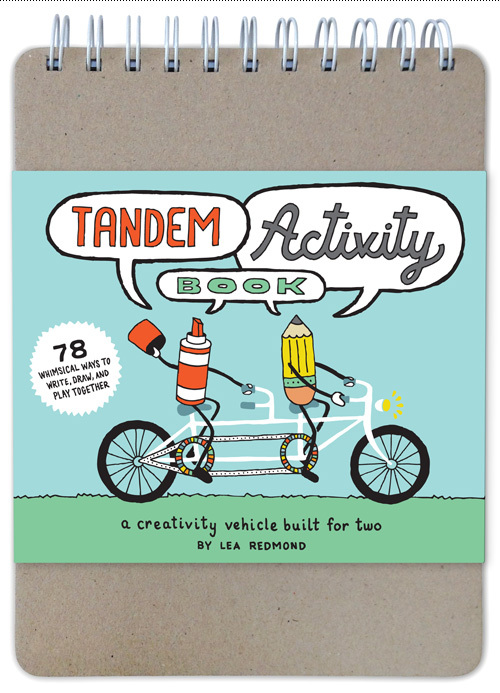 The Tandem Activity Book is being released this September, but you can pre-order the book on Amazon. Buy it for your kid, your friends, yourself, your crazy hippy aunt, anybody who likes to experiment and have fun. 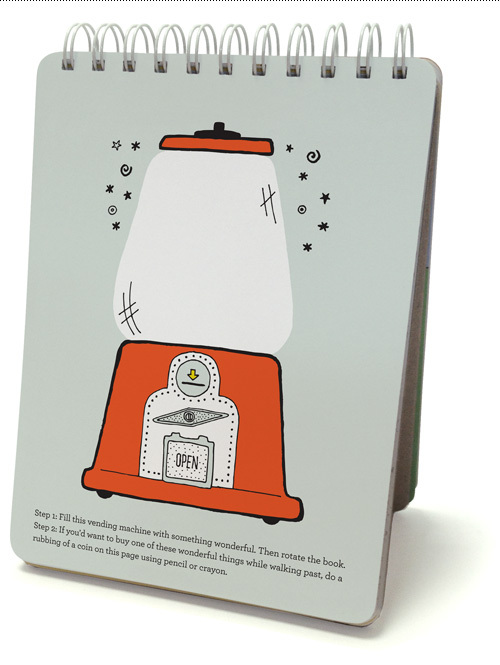 Or, if you know somebody who is really boring, buy this book to get them out of their box. You really can’t lose.